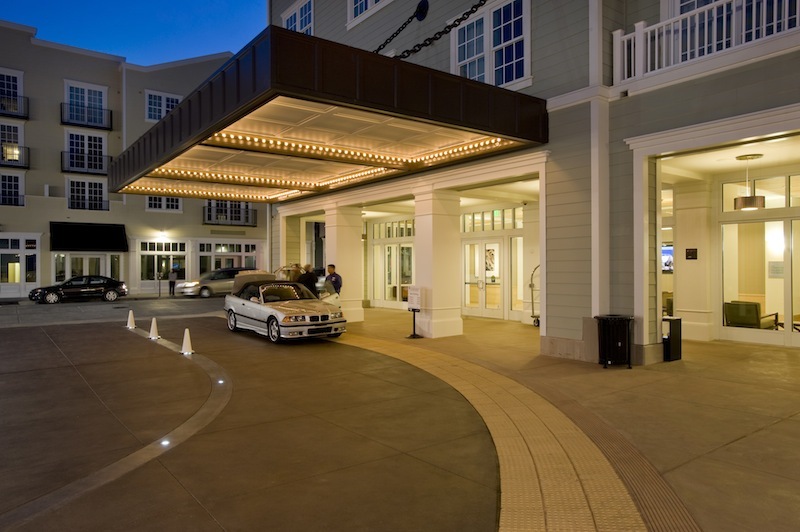 Overlooking the ocean and Monterey Bay, this luxury hotel is ideally situated in the heart of John Steinbeck’s historic Cannery Row in Monterey, CA. Guests can explore the Monterey Bay Aquarium next door or visit local fashionable boutiques, delectable eateries, and upscale galleries nearby. 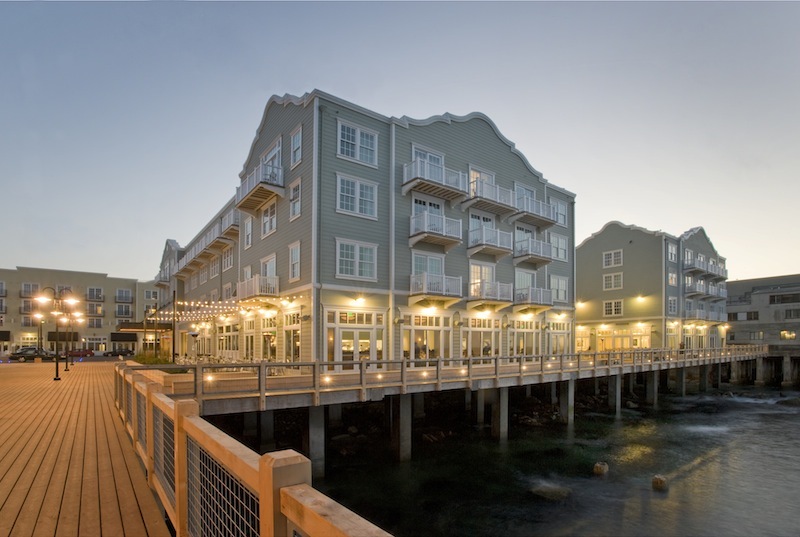 The hotel exterior harmonizes with the old historic “Cannery Row” style buildings nearby but the interior is very contemporary and luxurious. 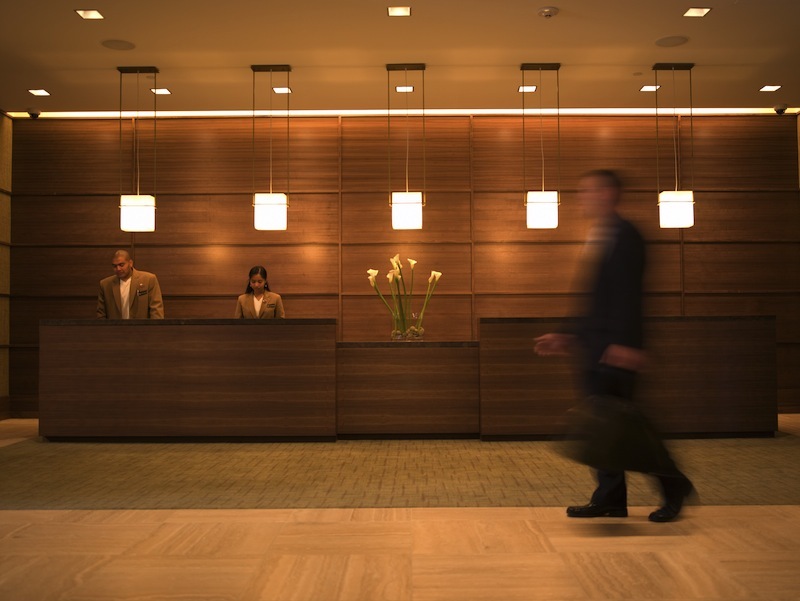 The hotel includes all of the quality amenities a guest would expect from a luxury hotel including a high end restaurant, health spa, valet parking and well-appointed guest rooms with spectacular views. 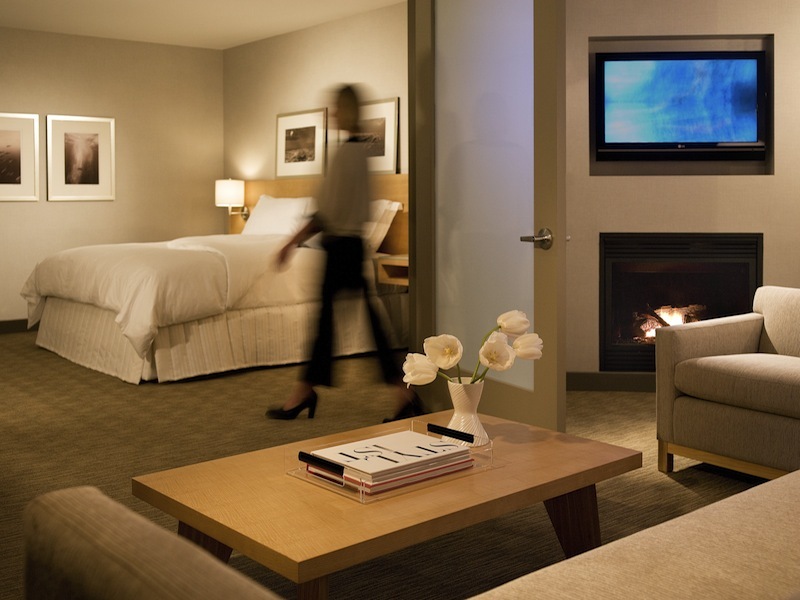 The hotel architecture and lighting design had to blend into the historic environment of the surroundings while offering a luxurious guest experience. 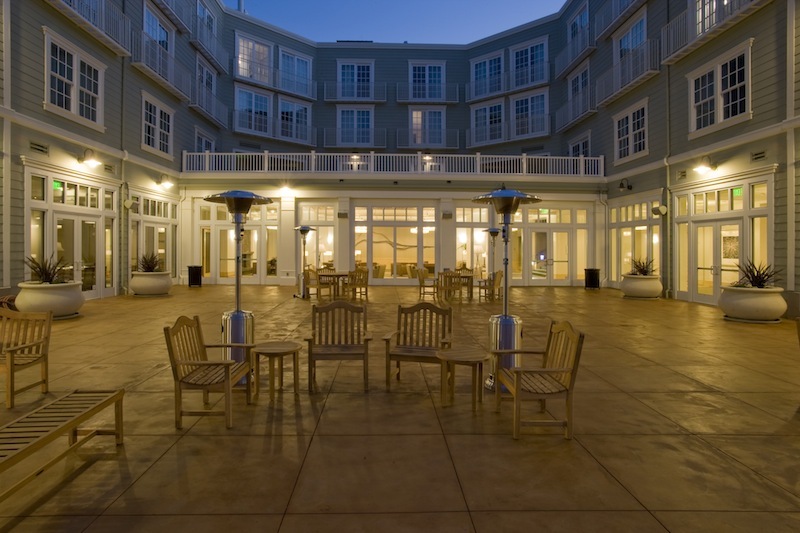 Decorative exterior lighting was specified to enhance the nostalgic “Cannery Row” architectural features. Anti-corrosion finishes were selected to withstand the caustic salt water environment yet age with a patina. 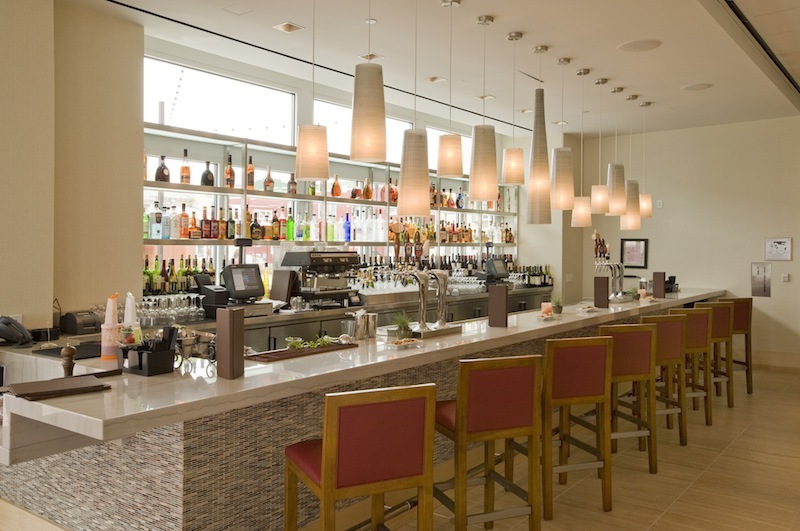 Decorative lighting fixtures for the more contemporary interior were fitted with compact fluorescent lamps for maximum efficiency in a comfortable 2700K color temperature. Accent lighting for art is provided by 50W MR16 lamps with appropriate beam spread and lenses aimed from a concealed track above the suspended wood ceiling system. 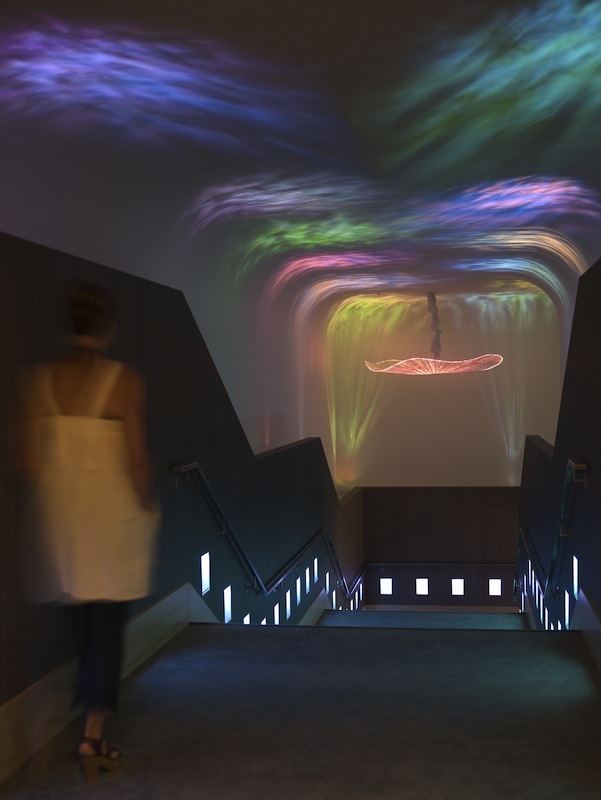 A special effects lighting and sound system was developed to create an surreal underwater theme experience in the main stairwell using projectors and fiber optics. 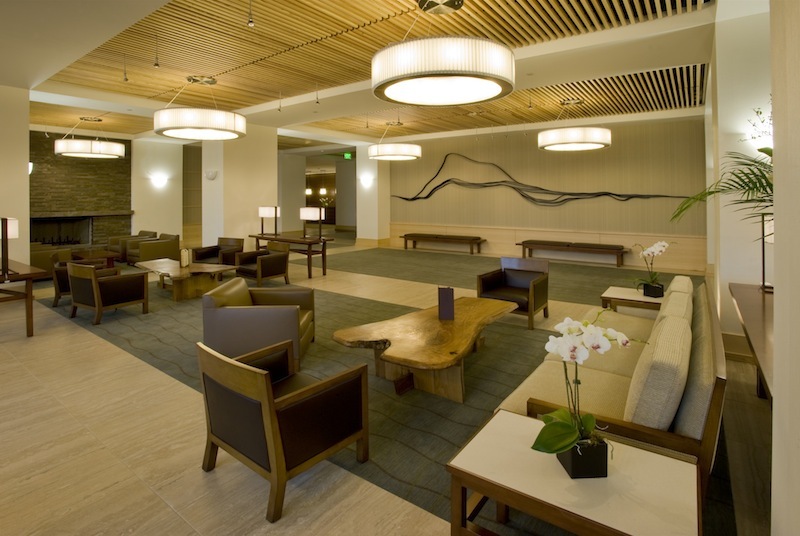 Efficient lighting fixtures combined with a multi-scene lighting control system achieved an overall 0.85 w/sqft power density. Several rounds of VE were required to bring the project into budget. Only 6 years old, the hotel looks like it has been there much longer and continues to be successful and popular with travelers and locals alike.